Many families who have children diagnosed with ADD/ADHD or just lack the focus to finish tasks are frustrated. They have tried everything before seeking professional advice. 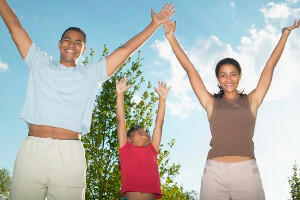 Most want a magic word or action that will help the whole family operate smoothly. Tricks and tips that worked with their other children often are short lived with these kids. Parents tell me that using consequences works for a short time, but the effectiveness slows down as the child loses interest or the parent resorts to old methods of discipline. Most solutions that work with successful families rely on common sense and consistency. You will find the following tips easy to use if the idea is coupled with consistency in follow through and consequences for the child that make sense. What works for adolescents with ADHD may not work for a younger children with this diagnosis. Likewise, if a behavior modification technique works for a high percentage of children, that doesn't mean it will be effective for all kids with ADHD..
•	it is important to maintain a consistent routine each day. •	Right before an activity, give clear boundaries and expectations. •	Give instructions in short sentences. End with what you want done right now. •	Use a timer to reinforce structure. •	Let them know before a change is coming or something new is going to happen. • Model behavior that your child can follow. •	If a task is complex, break it down into steps. •	Give clear instructions in small conversations, not lectures. •	Do not embarrass your child in front of friends, but find a signal (touching nose, hand on heart) that indicates the child needs to slow down and watch his boundaries. •	Partner with teachers in school, church and activities to build self-esteem in the child. •	Set up a clear system of rewards and consequences. Make sure child understands and agrees. • Set a good example for your teen. Adults who support and love them are very important in the lives of all children, but especially those who have difficulties with attention and behaviors. •	Don't blame all obnoxious behavior on ADD/ADHD. Remember that most teenagers act strange at times. •	Remember how sensitive teens are to peer acceptance. Respect clothes, music and friend choices..
•	Empower them to make decisions for themselves, with your guidance at first. •	It's important to involve the teen in decisions, expectations, rewards and consequences. Discipline and behavior techniques that work in one family, may not work in yours. Each child and family is unique and special. In determining if a consequence or reward will work with your child, consider temperament, interests and abilities. Using consistent guidelines and consequences will help your family manage ADD/ADHD behavior more effectively for everyone involved.